GX2-H131-LRC is a highly integrated、Serial optical transponder module for high-speed, 10Gbit/s data transmission applications. 4×3.125Gbps Ethernet Signal Input by XAUI Interface.An integrated Coder / Decoder and multiplexer / demultiplexer (SERDES: Serializer / Deserializer). 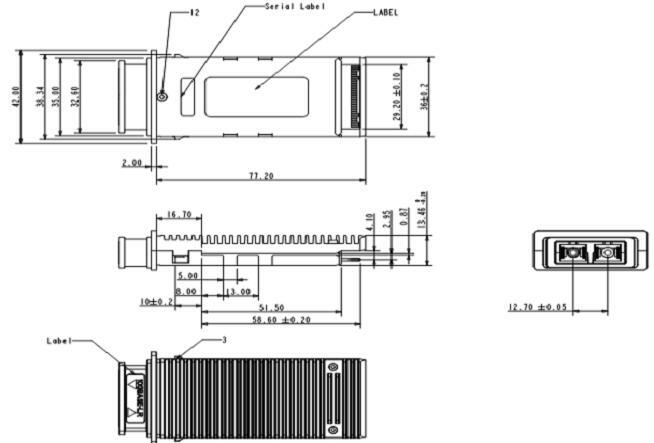 Designing for 10km Transmission with an uncooled directly modulated 1310nm DFB Laser. Digital diagnostics functions are available via a 2-wire serial interface, as specified in the XENPAK MSA 3.0.